Bobby Lehmann pleaded not guilty to two counts of careless driving causing death in connection with a traffic crash that killed two pedestrians in March 2017. After Fort Lewis College student Allen Duke was killed by a driver last year while walking to work along north Main Avenue, his family learned he was tutoring students during his already busy schedule. The Duke family was approached by several other parents at a posthumous graduation held in April 2017 for Allen, who was less than five weeks from graduating with an accounting degree. The Duke family recently visited Durango to mark the one-year anniversary of their son’s death and to announce the Allen Duke Memorial Foundation, which seeks to invest in a tutoring center on campus, among other initiatives. On March 18, 2017, Allen Duke, 23, was walking to work at the Abode Inn around 4 p.m. when he was struck by a vehicle on the east side of the 2000 block of Main Avenue, near Royal Motel. 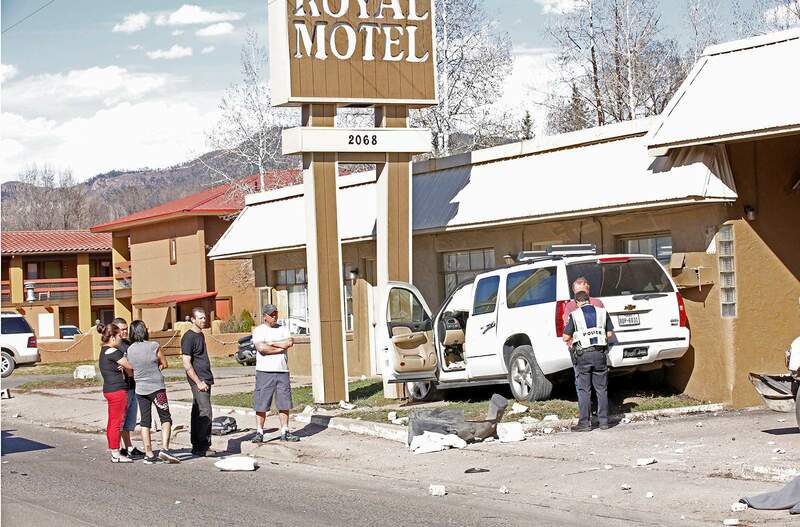 Another pedestrian died in the crash: Marco Ricchi, 46, who was visiting Durango from Italy. Prosecutors charged Bobby Lehmann, 77, with two counts of careless driving resulting in death. Lehmann, who lives in Texas but has a vacation home in Durango, is accused of veering off the road and striking the pedestrians. Lehmann pleaded not guilty in January. Calls to his attorney, Joel Fry, were not returned. A jury trial is scheduled for April 26. Brian Duke, along with his wife, Emi, and daughter, Brianna, spent some of their time in Durango at the Unitarian Universalist Church. Brian Duke said Allen’s twin brother, Evan, decided not to make the trip with the family and stay in Denver, where the family lives. “He is struggling with not only the fact he had to spend his first birthday without his brother but also the anniversary is a difficult thing for him,” Brian said. Allen and Evan were only two days past their 23rd birthday when Allen died. The Duke family had breakfast at Durango Doughworks and later dinner at El Moro Spirits and Tavern – both Allen’s favorites. They also held a short memorial at the site where Allen was hit. The family’s hope is Allen’s memory will live on through the foundation, which will be an all-volunteer, nonprofit service organization. On top of the tutoring center, the group seeks to help students struggling financially and academically. The Duke family also met with 6th Judicial District Attorney Christian Champagne about the court case. Brian Duke expressed frustration that the case is being charged as only a misdemeanor. With two counts of careless driving resulting in death, the maximum sentence would be two years in a county jail, if found guilty. Champagne told The Durango Herald that all evidence in the case points to a misdemeanor rather than a felony charge such as vehicular homicide. “Although it’s a terrible and horrible accident that these two young men lost their lives, we base charges on the evidence in the case,” Champagne said. Lehmann told authorities he did not remember the crash. He admitted to drinking a 12-ounce beer earlier in the day. A test for blood alcohol content – taken nearly two hours after the crash – showed 0.01 percent compared with the 0.08 threshold for drunken driving in Colorado. Lehmann was also found to be driving 32 mph in a 35 mph zone. Brian Duke said he doesn’t want to see Lehmann put in jail. Instead, he’d like to see him be sentenced to probation and community service. But more than anything, he’d like him to express remorse for the crash to the family. Brian said Lehmann has sent only a letter with an apology that Brian felt was not genuine. The Durango Herald’s attempts to reach Lehmann were unsuccessful. “I want to be forgiving, but when someone doesn’t even go out of their way to show you that they’re sorry, it’s really hard to be forgiving,” Brian Duke said.